All artworks you see on this site are made of ordinary packing tape. For a visual explanation check out one of the making-of-videos. 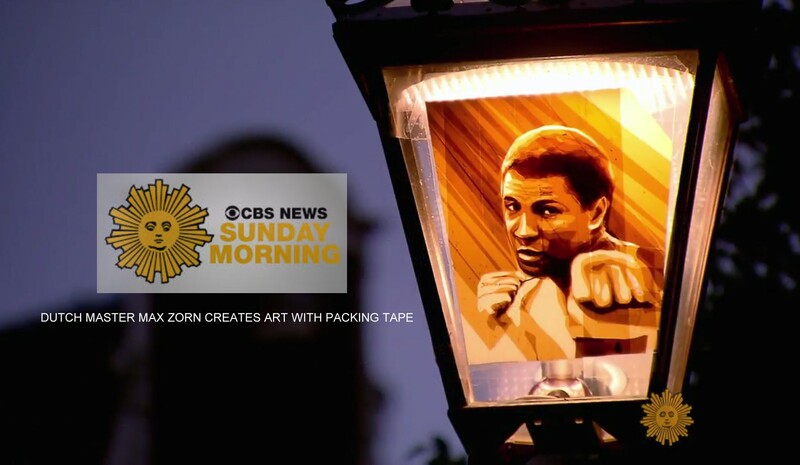 It all started with the simple idea to stick tape art on street lamps. Thanks to Youtube, millions of views and thousands of supporters it became a global project. Get a first inside at the street art-section. For more info on exhibitions, international art fairs and press reviews go to list of exhibitions and international press. You can find artworks for sale here. In addition to the listed works I have frequent special sales featuring new works for a short period of time. Any questions, ideas, projects or other inquiries can be directed at info@maxzorn.com.